Why Is It So Hard to Get Into Nursing School? What to know more about how to get into nursing school and why it’s so hard? You’re not alone. Read more about the challenges of nursing school admission and how to overcome them below. 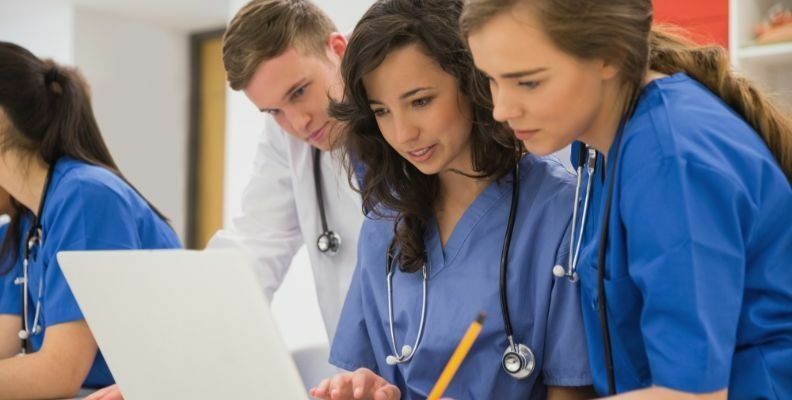 The key to being accepted into a nursing program may be realizing from the beginning that it can be just as difficult to get in as it is to actually attend the program successfully. Getting rejected is not an easy part of life and getting into nursing school is not an easy thing to do. Considering all that is required and approaching the application process with information and a plan will help to insure the highest possibility of getting accepted. It will take motivation, preparation and creativity to make your nursing application stand out from all of the others. Nursing schools are notoriously competitive and being accepted into a program can represent a challenge for some students. It’s good to be prepared and know ahead of time what schools want before applying. With the right motivation and the right tools, getting into nursing school is completely possible. Because nursing is such a demanding and technical field, and because nurses are holding patients’ lives in their hands every day, your knowledge base has to be all-encompassing. The nursing curriculum begins with the assumption that incoming students already have a foundation of knowledge to begin with and draw from. Applicants should have completed many different prerequisite courses such as anatomy and physiology, chemistry, biology, sociology, psychology, etc., and any other courses such as nutrition, will only be beneficial. It’s also critical to make sure that during high school, all of the prerequisites have been completed and done so as impressively as possible. Many nursing schools may require a minimum GPA from high school in order to be considered as a strong applicant. Most require at least a 2.5 GPA and many require a 3.0. A low GPA can demonstrate many things. Why is this? Perhaps the student didn’t care enough about school to take it seriously in which case, what would make college different? Or perhaps the coursework was too difficult and achieving an acceptable GPA was simply not possible. If the basic fundamental coursework in high school was too difficult, admissions specialists realize that the college coursework will only be more difficult. Low test scores, such as on the ACT or SAT, can also be problematic. The student may just be a weak test-taker, but generally a certain level of competence on either of these tests demonstrates the student’s ability to remember acquired knowledge and to use it in situations that require problem solving as well as inferential thought, two critical skills for successful completion of a nursing degree. Many students applying to nursing school have one or two ‘dream colleges’ in mind. After making application to those schools and possibly being turned away, it never occurs to them to apply at other colleges. Perhaps the most prestigious college is too stringent in their acceptance policies overall. This is no indicator that other less ‘dreamy’ colleges don’t have completely efficient nursing programs that will equip any nurse for a career in health care. For incoming students who may not get into their first choice of school, becoming a nurse is still very possible. All graduates take the same licensing exam. And, always consider attending college outside of your region as well. Even going to another state for a good program and getting your foot in the door can be well worth it. Some schools require an entrance exam before being accepted which can be very intimidating. If the school you’ve chosen has this requirement, consider studying from the GED study guide prior to taking it. While you won’t have to take a GED, the study guide contains much of the same information and basic concepts and can be very helpful. Also, any application is going to look more polished with experience in the medical field. Admissions representative like to see that applicants have already had some experience working with patients, even if it just involves volunteering. Applying to nursing school can be a daunting task, but just like getting a nursing degree, it is far from impossible. High school students should begin preparing well ahead of time because many of the incoming requirements include test scores, grades, volunteer experience, prerequisite course completion, and recommendations from school employees. Being creative and professional on the application will help to insure that your application stands out from the rest when being considered. There’s no need to embellish but being aware of exactly what the nursing schools are looking for and including that information can help your chances for acceptance. If you are ready to take the leap and apply to nursing schools, start by requesting information from those below.